Sri Kanth & Co Solicitors is a well-established high street practice based in Wembley, London. The Practice was established in 1992 by Mr Subramaniam Srikanthalingam who first qualified in Sri Lanka in 1985. He came to the United Kingdom in 1986 and trained to qualify as a solicitor in English Law in January 1992. At Sri Kanth & Co Solicitors, we pride ourselves on offering the most ethical and efficient service we can, by providing the most honest and accurate advice. However, whilst we consider ourselves well experienced in the matters we undertake we never forget that we are dealing with people, frequently disadvantaged, who may find the law complex and daunting. 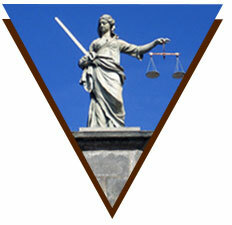 We undertake to guide you through the law by applying it to resolve the problems that you entrust to us. Experience has shown that our clients require four things from us: Commitment, Communication, Confidentiality and Courtesy, and upon these we lay the foundations of our service. The team at Sri Kanth & Co Solicitors is modern and highly focused, who concern themselves with meeting the needs of individuals as well as corporations and small businesses. We believe by understanding our clients’ needs, we are able to provide the best suited service to accommodate their objectives. Although we make all our clients feel welcome we also conduct all matters in a professional and business-like manner. We provide practical and resourceful solutions to clients’ problems and take care to present what are often complex topics in a clear and non-technical way. In all cases we aim to add value, and place particular emphasis on personal service, speed of response, value for money, accessibility and the highest standards of professional excellence. It is our ethos that to do justice to any of our clients we must first understand their needs and offer our services at the highest level. Whatever the nature of the problem whether it involves a relatively simple transaction or a more complex problem, it is by our understanding of our clients’ needs, that we are able to offer them the best of our service. Hence, our objective at Sri Kanth & Co Solicitors is to understand our client’s requirements and work towards a solution to achieve those objectives.